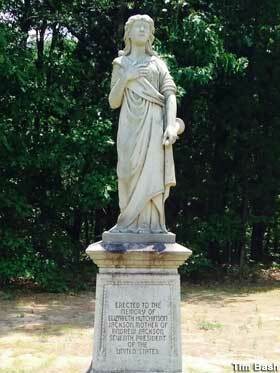 Elizabeth Hutchinson Jackson lived close to the Camden-Salisbury Road in the Waxhaws during the Revolutionary War. Because of her home’s proximity to this busy trek, she met many who traveled to and from Charles Town. News from the war, as well as participation in it, became a routine way of life. Rather than focusing on the seasonal farming of their livelihood, hostilities assaulted their tranquility. Fighting and battles became the new normal, as the British moved troops to control the colony of Carolina. Men, women, and children all did their part and bore the scars. Her brother-in-law fought and survived the Battle of Sullivan’s Island. In May, 1780, she nursed the wounded and dying from the Battle of Waxhaws where Banastre Tarleton earned his name Bloody Ban. Her oldest son Hugh, at age sixteen, died at the Battle of Stono Ferry. She relentlessly sought and gained the release of her two younger sons, Robert and Andy, from the British Camden prison. Robert then died from the small pox he caught at the jail. She continued to play a heroine’s role in this war when she left to nurse her nephews on one of the British prison ships in Charles Town’s harbor, and she was buried in an unknown grave after contracting disease from the prisoners. Setting an example of fortitude and bravery for her family and community, Elizabeth never wavered in making both arduous and costly decisions. Whether it was to board a ship in Ireland with her husband, as well as an infant and two-year-old, to travel to an unknown world or to intentionally travel to a plague-ridden, sea-water jail, this heroine met her life challenges. Elizabeth’s life story will confront you. As you read about her demanding life in colonial and Revolutionary War South Carolina, I think Elizabeth’s life will captivate you, as she did me. She was one of many ordinary women who lived extraordinary lives. A story-teller and staunch Scotch-Irish Presbyterian, she lovingly took care of her family. Sharing hospitality to both friends and strangers was not a chore, and her home was one of welcome. I recommend reading Elizabeth Hutchinson Jackson’s fictionalized biography. There are more details about the Revolutionary War in South Carolina than in my other two. This character-driven book shares the every- day life of a woman who defends her hearth and home in the cause of freedom and liberty. Elizabeth’s life so dared me. 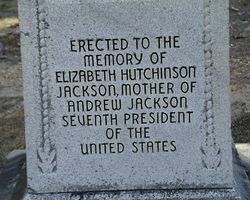 Posted in Uncategorized and tagged Andrew Jackson, Battle of Waxhaws, Charleston, Elizabeth Hutchinson Jackson, Revolutionary War, school, South Carolina. Bookmark the permalink. A century or so leading up to the Revolution, colonial taverns and inns were an essential part of the community. Horses needed frequent rests, and travel by coach and horseback were far from comfortable. In Massachusetts on the roads leading to Boston, taverns and inns were spaced about every eight miles, which worked out to a reasonable journey in the winter cold before a person needed to warm up, inside and out. In the cities and some rural areas, taverns were much more plentiful. The difference between a colonial era tavern and an inn is that the inn offered accommodation, the tavern only food and drink. In the earliest days of the colonies, the term was Ordinary, which stuck around longer in the south. By the end of the 17th century, the word tavern was displacing ordinary along the eastern seaboard. Charleston has long been known for its hospitality. With its beautiful houses and churches, a number of taverns have played important roles in the city’s history. 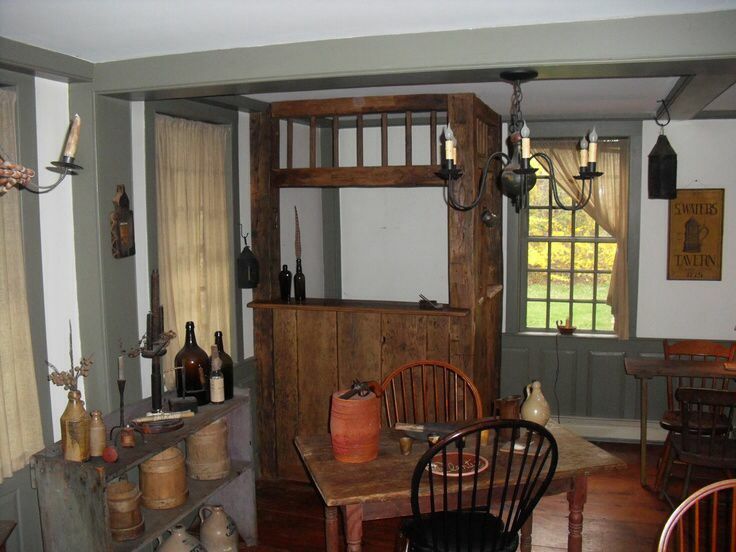 Taverns were the hub of colonial social and civic activity. This public establishment served multiple purposes, not only for eating and drinking, but also for lodging, conducting business, holding public meetings, staging shows and entertainments, and even serving as post offices. Before a former bank building was designated as City Hall in 1811, all of Charleston’s civic meetings and courts were held in local taverns. Taverns also played an important role in the city’s philanthropic life, and Charlestown was a philanthropic town. Here gentlemen of various ethnicities and persuasions met regularly, forming benevolent societies to raise funds as they drank in support of newcomers to the colony as well as fellow countrymen who had fallen on hard times. It is reported that the Holy City boasted more than 100 taverns during the colonial era, among them Dillon’s, Swallows, Gordon’s, Sign of the Bacchus, City Tavern, Henry Gignilliat’s, and the Georgia Coffee House. Shepheard’s Tavern was established by Charles Shepheard c. 1720 on the corner of Broad and Church streets. The tavern’s “long room” served as the city’s first courtroom; the powerbrokers met here. The South Carolina Gazzette announced the first theatrical play in America was staged here, as was the nation’s first opera, both in 1735. That building burned, but Shepheard immediately rebuilt at the same location using salvaged materials and was accordingly appointed postmaster in 1743. Solomon’s Lodge No. 1 of Freemasons met here in 1754, and the tavern was the birthplace of the Scottish Rite Freemasonry in America, 1801. But perhaps one of the most historically significant activites to take place here was that Shepheard’s served as the meeting place where Christopher Gadsden sparked the flames of the America Revolution among his rebel group that became known as the Sons of Liberty. In 1773, when the establishment was known as Swallow’s Tavern, the first Chamber of Commerce in America was formed on the site. 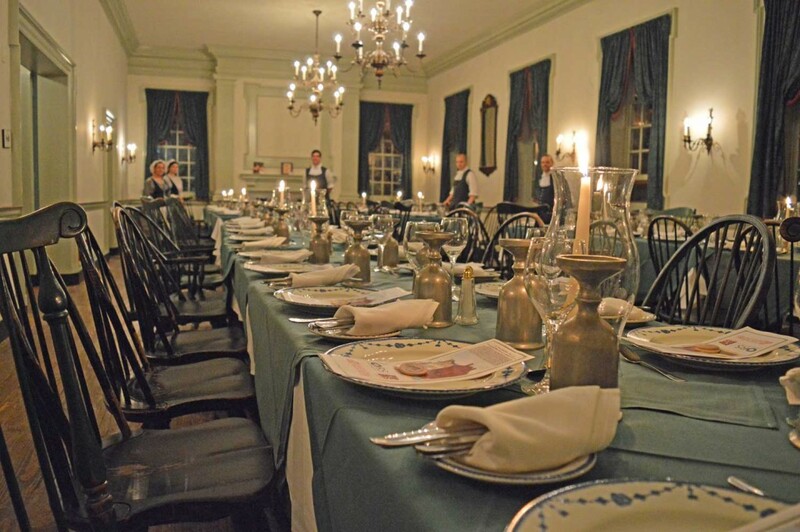 The St. Andrew’s Society and other fraternal organizations held their meetings and dinners at Shepheard’s. During the Revolutionary period, the tavern was among those that hosted meetings of the Sons of Liberty. 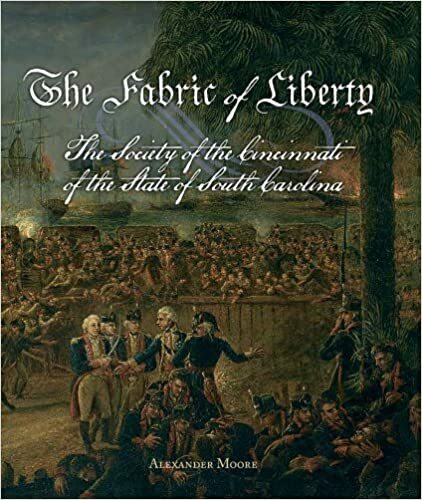 On August 29, 1783, 43 Continental officers assembled at the tavern and formed the South Carolina Society of the Cincinnati. Maj. Gen. William Moultrie, hero of the battle of Fort Sullivan, was elected its first president. Their mission was to preserve the principles of liberty for which its founders had fought during the Revolution and to perpetuate those values through their descendants. This group is the only Southern society to have remained in continuous existence since its founding. Edward McCrady wore many hats; he is listed as a barber, an inventor, a breeder and racer of horses, and owner of McCrady’s Tavern, the only historic Charleston tavern that still exists as a dining establishment and is listed on the National Register of Historic Places. McCrady built this tavern with a separate kitchen to reduce the threat of fire c. 1779, offering meals, drinks and lodging. A four-story Georgian hous was built on East Bay Street. By 1788, McCrady had completed its “long room,” which was used for banquets and theatrical performances. McCrady, a devout Patriot, was captured by the British and sent to prison in St. Augustine, Fla., along with other leading Charleston Patriots. After the war, he returned to his home and business, which became the hub of social activity in Charleston in the years following the Revolution. Small wonder then that when President George Washington visited Charleston in 1791, McCrady’s was the site of a magnificent 30-course banquet held in his honor by the Society of the Cinncinati – very appropriate given Edward McCrady’s return to his old business a la old Cinncinatus himself, the consummate citizen-soldier. The Pink House, 17 Chalmers St., served as a popular local tavern in the 1750s. It has variously been used as a brothel and lawyer’s office, rounding out the more unsavory aspects of its history. In more recent times, the building, made of Bermuda stone with a tile roof, has been used as a residence, art gallery and office space. American Patriot and tavern owner John Readhimer, who died in May 1826 at the ripe old age of 72, was not only known as a brave soldier, but as a gentleman, devout Christian, honest businessman, and true friend. He is buried in the St. James Goose Creek Chapel of Ease, not far from where he operated his tavern. Robert Dillon’s two story brick tavern stood in the middle of town. In the 1730’s, it had doubled as a theater and a courthouse before other structures were built. He welcomed classical musical concerts, meetings of the elite jockey club, aid societies, and gentlemen needing a place to conduct business. The Charleston Library Society met there every Wednesday, and the Sons of Liberty were regulars. As one guest said, “There are very few there at any time but those who are playing Back Gammon.” Governor Bull entertained gatherings there. At each location, the tavern community began with a friendly glass. Entertainment, business, or politics then followed suit. One hundred years later, one of my favorite authors, Henry Wadsworth Longfellow, described an old tavern in The Wayside Inn. And twitter, and again are still. Beneath the sign of the Red Horse. Paint pictures in their friendly eyes? What pleasant voices fill their ears? And three already in their graves. Posted in Uncategorized and tagged "The Wayside Inn", Charleston, colonial taverns, Henry Wadsworth Longfellow, Ordinary, SC Society of the Cincinnati, school, Sons of Liberty, William Moultrie. Bookmark the permalink. I have always been excited to learn about women who were first at something, and Elizabeth Timothy wins in that category in South Carolina and the United States. When her publisher husband died in 1738, Elizabeth Timothy became the first female newspaper publisher and editor in America. Elizabeth was born in Holland and immigrated to America in 1731 with her husband and four children. They sailed with other French Huguenots fleeing persecution. Timothy met Benjamin Franklin, who hired him to be librarian of Franklin’s Philadelphia Library Company. Then Franklin trained him in the printing business at the Pennsylvania Gazette. Franklin had helped establish the South Carolina Gazette in Charlestown. When the publisher died, Timothy took his place in 1733. They signed a six year contract with Timothy’s son Peter as the next in line as publisher. The Gazette became the South Carolina’s first permanent newspaper under Timothy. The family joined St. Philip’s Anglican Church and became quite active. Timothy organized a subscription postal system that originated in his printing office. In 1736, he obtained 600 acres and a town lot. Lewis died in 1739, and Elizabeth took over. She was the mother of five children and momentarily expecting the sixth, but she took on another job. She ran the Gazette under the name of her 13-year-old son Peter. There was a year left on the contract, but not an issue was missed. Elizabeth added a personal touch to the Gazette by adding woodcuts for illustration and advertisements. In the first issue after her husband’s death, she included a sentimental message asking for continued support from their customers. 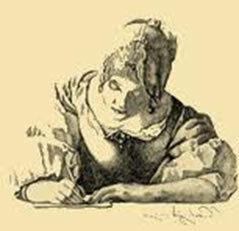 When her son Peter turned 21 in 1746, he assumed the operation of the Gazette from his mother. She turned right around and opened her own business, a book and stationery store next door to the printing office on King Street. Of course, she advertised in the Gazette. (I wonder if she had to pay?) In an ad in October, 1746, she announce that she had books available like pocket Bibles, spellers, primers, and books titled Reflections on Courtship and Marriage, Armstrong’s Poem on Health, The Westminister Confession of Faith, and Watt’s Psalms and Hymns. She also sold bills of lading mortgages, bills of sale, writs, ink powder, and quills to local Charlestonians for reasonable prices. Elizabeth ran her business for about a year before she left Charlestown for a season. She was back by 1756. She died in 1757, and her estate included three houses, a tract of land, and eight slaves. She was a wealthy woman. As the mother of six children and the wife of a wealthy and influential publisher, Elizabeth Timothy enjoyed a social position attained by only a few women printers of the colonial period. But her success of the newspaper and printing business after Lewis Timothy’s death can only be attributed to her own business acumen and management skills. As the first woman in America to own and publish a newspaper, she played a vital role in the development of Charlestown and South Carolina. As official printer to the colony, she was closely associated with the South Carolina Assembly and colony’s government. And as the proprietor of a commercial printing business and bookstore, she printed, published, and offered for sale numerous books and pamphlets, and was at the center of the colony’s cultural and literary life. In 1973, Elizabeth Timothy was inducted into the South Carolina Press Association Hall of fame. She was inducted into the South Carolina Business Hall of Fame in 2000. Elizabeth Timothy was a South Carolina woman who didn’t need these encouraging words. In reading about her life, I believe she had some similar words as her motto. Posted in Uncategorized and tagged Charleston, Elizabeth Timothy, Gazette, SC Business Hall of Fame. Bookmark the permalink. 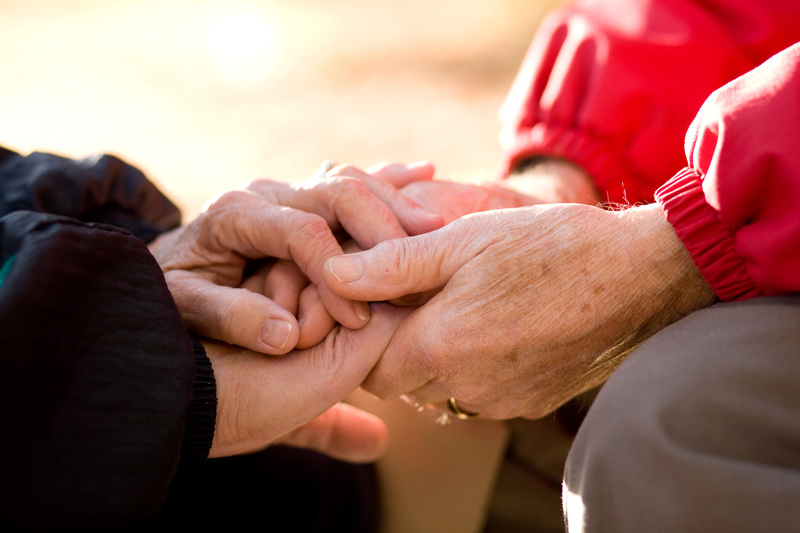 Last week on Christmas Eve, I received a phone call from one of our octogenarian friends. He and his wife wanted to come by for a visit, and I excitedly said yes. He was called to the ministry in South Africa 51 years ago, and this couple has served on that continent and in the US. She is an expert in all things created with a needle, and he is a teacher of the Word. I truly love to listen to their British accents and hear their usage of uncommon British terms. Their smiles are contagious, and they greet all with love and friendship. Sharing a cup of tea and cookies with them in their home has been a treat for us. Listening to their stories of how our Lord has led and blessed them is a journey of faith and bent knees. Then he said he felt led to pray, and Ed prayed a prayer of blessing over John and me as a couple. As John and I held hands, as we have always done when praying, my husband’s grip tightened on mine. Ed asked God for strength for us to continue to lead the Christian lives we had been called to. He prayed for our discernment in following God’s call. He recognized our love for the Lord and blessed us for our commitment. For John and me, it was a time of grace and bending of the knee once again to live a life of obedience and faith. What a Christmas gift to us as a couple! Individually, we have both been prayed for by friends, but not since our wedding, 37 years ago, have we been prayed for as a couple. It will be a Christmas Eve we never forget. In Colossians 1:9-12 is a prayer of blessing. As we all look toward 2017, I pray that we will seek our Father’s wisdom an share it with those around us and let “our lives shine before men that they will see our good works and glorify our Father which is in heaven. One of my two best friends died unexpectedly in August. The scripture she share on her notes and cards was always the same. By word or by deed, it is the blessing I am thankful for today. Posted in Uncategorized and tagged blessing, Charleston, Christian, Colossians, Numbers 6:24-26, prayer, South Africa, tea. Bookmark the permalink. In 1684, nineteen-year-old Judith Giton escaped from her home country, France, because of her religious faith. Choosing not to change her Huguenot religion to Catholicism, government restrictions curtailed their lives in France. The Huguenots were followers of John Calvin and part of the Protestant Reformation. They believed in Bible study and prayer to guide their lives. Worshiping simply was important. Under house arrest, with her mother Madeline and two brothers, Pierre and Louis, they all fled in the middle of the night with little more than the clothes on their backs. They had planned for weeks their escape route. Even though the guards pursued them, they were helped by sympathizers to their Huguenot faith. Other Huguenots had left their homes because of the legal and financial harassment from the government that was meant to impoverish them. Over 200,000 fled; 2300 left for America. Finally sailing from London, the voyage wasn’t easy. Scarlet fever ran rampant on the ship, and Judith’s mother died of this disease. With a layover in Bermuda, the three siblings arrived in Charles Town. They were penniless. This noble family worked the land to survive, and within two years, both brothers died. Judith married a man not of her social status; Noe Royer was a weaver; this was considered a mesalliance. He bought land and built a house on Church Street. The couple had three children. Shortly, 35-year-old Royer died, and Judith married another French Huguenot named Pierre Manigault. Manigault was a cooper/barrel maker, and they had two children. Again she married outside her social status. Since Judith had inherited Royer’s house, they stayed there. She took in boarders for extra money. In a seaport town like Charles Town, there was always a full house. Joining the French Huguenot congregation that met in its church building on Church Street, the blended family was faithful in attendance. Expanding his business to include distilleries, he was wealthy by 1710. What a brave, single woman Judith was to leave for America; she survived by working hard and putting aside her nobility. She was one of the first women to begin a new life here. When Judith’s life was finally an easier one again, she died in 1711. Little is known of Judith Giton’s life, and they are mostly facts. Below is a letter, written six years after her arrival, she wrote to the soldier brother that stayed in France; she describes her early life here. Judith was a survivor, and she chose a new life and independence here in America. This South Carolina woman struggled, but never gave up. The understatements in it speak louder than the details she chose not to include. “For eight months we had suffered from the contributions and the quartering of the soldiers, on account of religion, enduring many inconveniences. We therefore resolved on quitting France at night, leaving the soldiers in their beds, and abandoning the house with its furniture. . . . [They hid for ten days, then traveled from city to city to get out of France. At one point they were only 90 miles from where her brother, to whom she is writing, was stationed as a soldier.] Mother and I entreated my eldest brother to consent that we should go that way. . . . It was in the depth of winter. But he would not hear of it, having nothing in his mind but “Carolina,” and dreading to miss any chance of coming hither. The thought that we thus lost so good an opportunity to see you at least once more, has been a constant source of grief to me, ever since. After this, we passed into Holland, in order to go to England. We were detained in London for three months, waiting for a vessel ready to sail for Carolina. Once embarked, we were miserably off indeed. The scarlet fever broke out in our ship, and many died, among them our aged mother. . . .
Our vessel put in [at Bermuda] for repairs, having been badly injured in a severe storm. Our captain . . . was thrown into prison, and the ship was seized. It was with the greatest difficulty that we secured our passage in another ship, for our money had all been spent. After our arrival in Carolina, we suffered all sorts of evils. Our eldest brother died of a fever, eighteen months after coming here. . . .
We ourselves have been exposed, since leaving France, to all kinds of afflictions, in the forms of sickness, pestilence, famine, poverty, and the roughest labor. I have been for six months at a time in this country without tasting bread, laboring meanwhile like a slave in tilling the ground. Indeed I have spent three or four years without knowing what it was to eat bread whenever I wanted it. God has been very good to us in enabling us to bear up under trials of every kind. from “Letter of Judith Giton Manigault,” trans. by Charles W. Baird in History of the Huguenot Emigration to America, Vol. 2 (New York: Dodd, Mead and Company, 1885), 112–114. 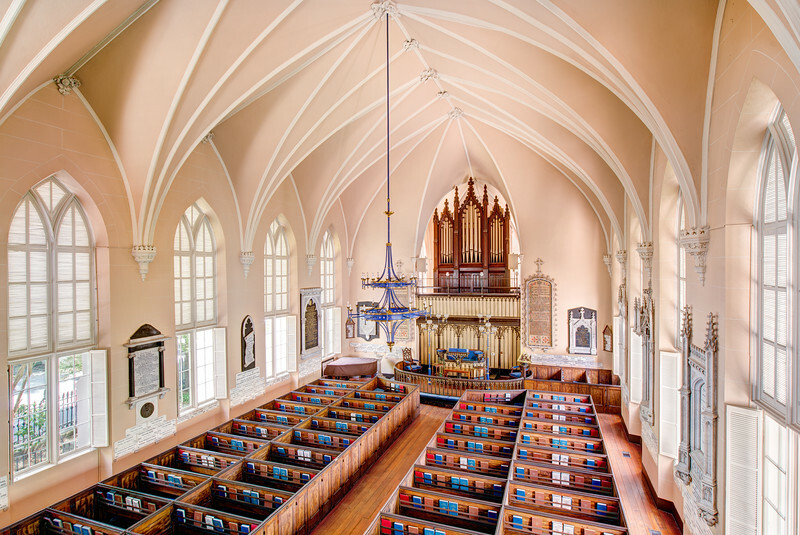 The present French Huguenot church was built in 1844 and is located on Church Street in Charleston. It is the oldest Gothic Revival Church in South Carolina. This congregation is Judith Giton’s congregation, and it is breath-taking. I applaud the Giton family’s move to the colony of Carolina. Walking away from what was known and familiar to a world that held a slew of unknowns took courage. Judith Giton worked hard to survive; this matriarch of the Manigault family has influenced our state for the better. Posted in Uncategorized and tagged Charleston, French Huguenot, Helen Keller, Judith Giton, Robert Frost. Bookmark the permalink. In 1776, South Carolina adopted its Great Seal. There are two elliptical areas that are linked by the branches of the palmetto tree. The right area is the goddess of hope, Spes, with the Latin words, “dum spiro spero.” This translates into “while I breathe I hope.” On the left is engraved a tall palmetto tree and an oak tree that is fallen and broken with the words “animis opibusque parati”, meaning “prepared in mind and resources.” These two trees represent the Battle of Sullivan’s Island, fought on June 28, 1776. This battle took place near Charleston, South Carolina, during the first British attempt to capture the city from American rebels. The Americans had completed only the seaward wall made from palmetto logs 20 feet long and 16 feet wide; the logs were filled with sand. General William Moultrie (in the above image) commanded the fort. The British fleet sailed into the harbor to attack the fort. The fleet consisted of 9 man-of-war ships carrying 300 heavy cannon. The cannons were fired, but the balls from the ships’ guns were stopped by the soft, sand-filled palmetto logs. During the conflict, a flag commissioned by the colonial government and designed by William Moultrie was shot away and fell down outside the fort. In the midst of the firing, Sergeant Jasper rushed out, seized the broken flagstaff, and again set it up on the rampart. General Henry Clinton and his British troops landed on an island and tried to cross to the further end of Sullivan’s Island. Unexpectedly the water deepened, and the British had to jump aboard their ships to save themselves from drowning. 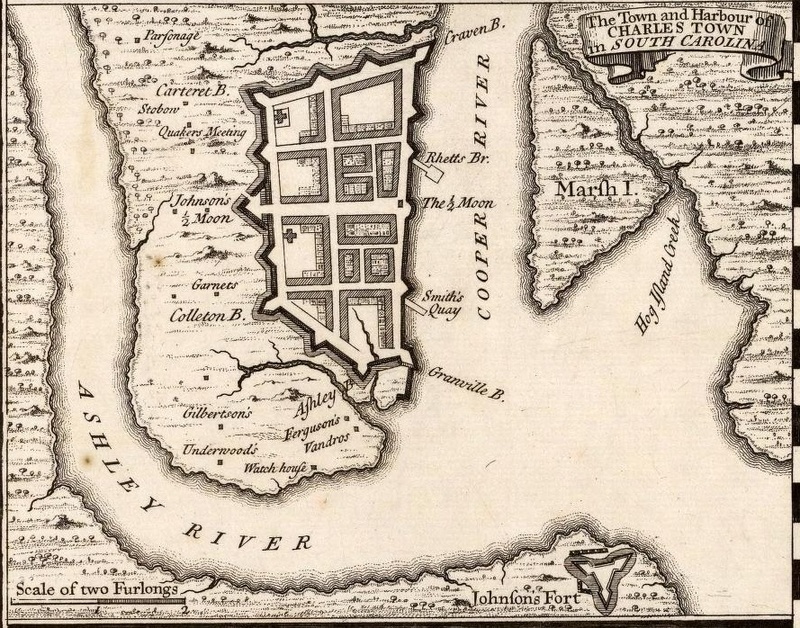 General Clinton ordered a retreat, and the fleet sailed away from Charleston. “Dum spiro sperot” is also the state motto of South Carolina adopted in 1776. When the Provincial Congress of South Carolina set up its independent government on March 26, 1776, this motto was placed on the great seal. We have an artist friend, Kris Neely, who paints a series on found wood that he calls the Guardians. They are appropriately angels. Last year, I bought one of his that has our state motto on it for my husband John. John is an artist and built his own Little House Studio in our back yard. I wanted him to have the encouragement of these words every day as he walked out of his studio. Yesterday we took daughter Michelle and her family to see the movie Miracles from Heaven. This movie is based on a true story about the Beam family who faced their daughter Annabel’s fight against an incurable disease. Faith and hope fight against reality in this movie; faith and hope win when a miracle occurs. One of my favorite Easter hymns has the words, “Because He lives, I can face tomorrow. Because He lives, all fear is gone. Because I know He holds the future. And it is worth the living just because He lives.” I recommend this family movie as one that will help you to choose to hold your family more tightly and not to miss an opportunity to hug and love them each and every day. Here is an interview with the Beam family, not the movie family, that loudly speaks to a breathing hope. Posted in Uncategorized and tagged Albert Einstein, Annabel Beam, Battle of Sullivans Island, Charleston, General Henry Clinton, Kris Neely, Miracles from Heaven, SC Great Seal, SC state motto, Sergeant Jasper, William Moultrie. Bookmark the permalink. In 1952, the First Federal Savings and Loan Association in Charleston published a small booklet called Famous Charleston Firsts. I found a copy of it in my parents’ memorabilia and thought you might enjoy some of them, too. 1. First book jackets in America were made in Charleston by Issac Hammond in 1890. He opened a book store at 10 Broad Street and designed the jackets to protect rare editions. A salesman from Harper Brothers took the idea back to his New York City publishing house. 2. 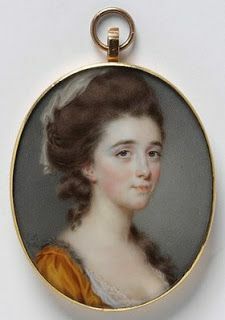 First woman artist in America was Henrietta Johnson, who worked in Charleston between 1707 and 1720. Her subjects were mainly women, but her best work is a portrait of Robert Johnson, Governor-general of His Majesty’s Province of Carolina. 3. First weather observations ever to be recorded were made in Charleston by Dr. John Lining in 1738. He took a daily reading from his home at Broad Street and King Street. As a physician, Dr. Lining studied the effect of weather on the human body, seeking to find out how a rising thermometer affected people. 4. First fire insurance company was organized in 1736. Known as “The Friendly Society for the Mutual Insurance of Houses Against Fire,” the company maintained its own fire fighters, who carried buckets and ladders. After 4 years, the huge Charleston fire of 1740 consumed half the city and ruined the insurance company. 5. First American cotton exported to England was shipped from Charleston in 1748. The shipment consisted of 7 bags and was valued at roughly $875. 6. First submarine to sink a man-of-war in actual warfare took place in Charleston harbor in 1864.The Confederate submarine Hunley sank the USS Housatonic by exploding a torpedo under her. The wave thrown up swamped the submarine. 9. First independent government in SC, and the second in America, was formed in Charleston in 1776 in what is now the Exchange Building on Broad Street. The assembly authorized the issue of $600,000 for start-up. Our state has much to be proud of. Its history has spanned centuries, and South Carolinians still choose to remember its influence. At a writing conference yesterday, I read part of this list to teachers and encouraged them to look for the stories in research. Dry facts do give us information, but it is the people who make those facts come alive. Posted in Uncategorized and tagged Charleston, Henrietta Johnson, James Caskey, railroad, SC Historical Society, South Carolina. Bookmark the permalink.